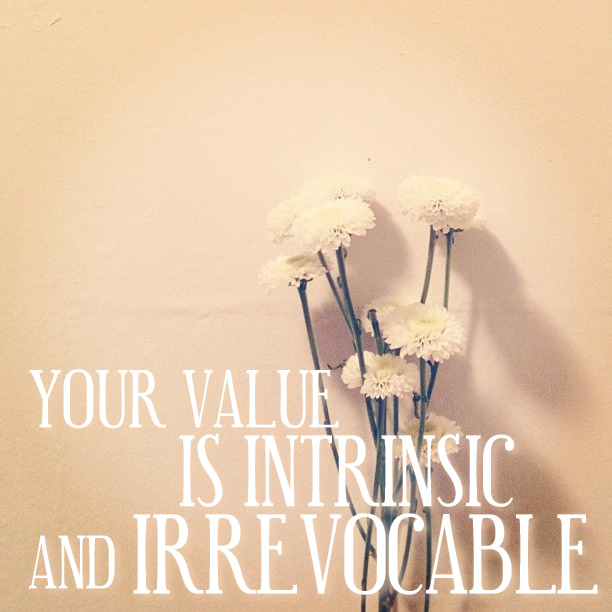 Your value, is intrinsic and irrevocable. Never let anything, nor any standard, deters your self confidence and esteem from what God meant it to be. Let no one influences your perception of self. You are good as who you are right now. A better self in the future, yes, but never a damned existence in the present time. Accept, and appreciate those who love you for who you are. People who are genuine and sincerely care for you are hard to be found, they are something to be treasured. Cherish them for life. Those who don't? They just don't. They may change, over the years, but only God knows when. You can never change someone's heart to suit your desire and wishes. Be content, and be grateful.